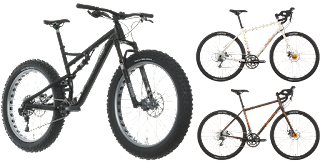 Choose the 2016 Salsa Bucksaw Carbon X01 and the 2017 Salsa Vaya GX for $6,499.99. 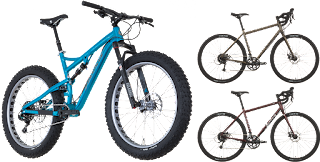 From now through September 30, 2016, Salsa Cycles is pairing the Bucksaw and Vaya to bring you two outstanding tools for exploration in one package deal. Two bikes for the price of one! Head to your closest Century Cycles store to take advantage of this limited-time offer. For the price of one bike, leave with two, and equip yourself with an all-terrain, all-access pass to adventure! Plan some fast, light tours, and head out on some gravel for ramblin’ or racing. Hit any singletrack, do some bikepacking, or embark on deep woods expeditions. In any season, on any surface, there’s a lot of bike riding to do, and Salsa is here to help you get after it. With our Two Bikes For Any Adventure Special, your biggest problem will be deciding which bike you’ll ride first. 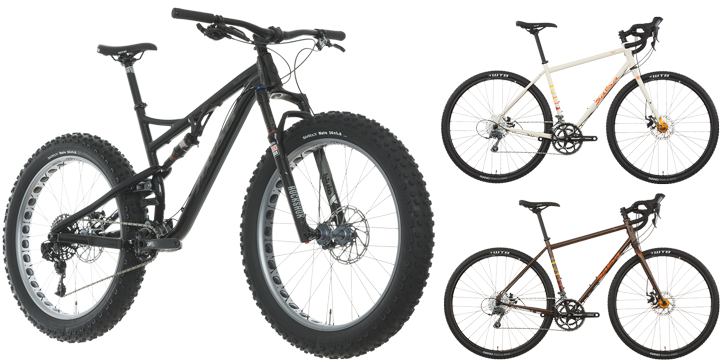 Choose the 2016 Salsa Bucksaw X01 and the 2017 Salsa Vaya Deore for $4,999.99. 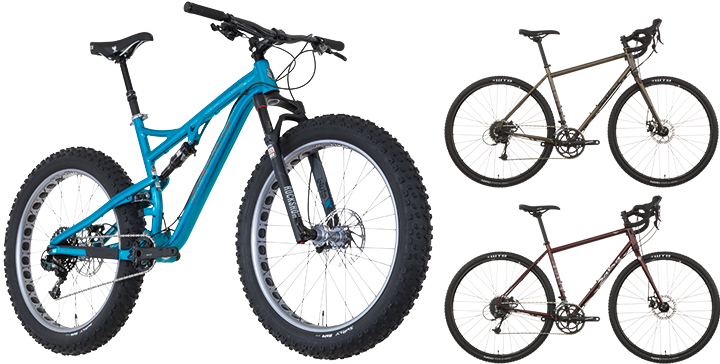 Choose the 2016 Salsa Bucksaw GX1 and the 2017 Salsa Vaya Claris for $3,999.99. 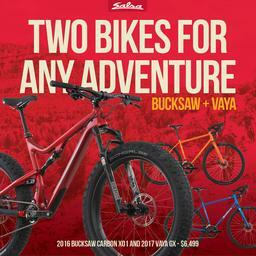 Visit your nearest Century Cycles store to order your Bucksaw and Vaya! Q. I don’t want a Vaya; can I get a discount on my Bucksaw instead? A. No, this is a promotion that ties these bikes together; no discounts are available on Bucksaw should you not want Vaya. Q. Do both bikes have to be sized to fit the same person? A. No, you can get one bike for yourself, and the other bike for you spouse/significant other/friend -- share the adventures any way you want! Q. I want a Bucksaw GX, and a Vaya Deore; can I do this? A. No, you can only purchase the pair in the model and model year combinations listed above.